Sometimes words are just not enough to say what must be said. Sometimes we must let our deep subconscious mind speak for us. Reka One, aka James Reka has found a way to bring the depths of his creative mind to surface, forming a new, recognizable style of street art. Uniqueness, cleanness and the fact that it isn’t necessarily on the street are making his street art stand out. Mediums to work with are like his inspiration, almost unlimited. Murals, photography, graphics, found and often rusty objects, and even the recent transition into painting, all of them are far surpassing the ability of words to express what’s deep inside. It is difficult to place his style into just one category, for Reka combines surrealism, abstraction, and street art, expressing himself through bold colors, dynamic movement and strong lines. Working for various clients and the years spent roaming the street allowed the artist to improve his skills and experiment with various mediums. He is influenced by pop culture, illustration and cartoons, and his style could be described as logo design background, heavily influenced by the Pop-Art. In the recent years, he’s been making a slow transition into the studio, admitting that painting is his passion. But, since he is still young, and the streets are strong within him, he simply can’t forget where he came from. The energy and passion are still there, and it’ll be a number of years before he definitely replaces the street with studio work. Reka earned his BA in Visual Communication & Design from RMIT University in Melbourne in 2006 but considers himself a self-taught artist. It’s been a long journey, starting as a thug, a vandal, with the main goal being to tagg someone else’s property with your name. That rush and the need for anonymity disappeared, and it was a conscious decision. When the galleries get involved, the need for a personal element is born as the artwork needs to be connected to a name, a real name. Only a few artists had avoided this, with Banksy being the most famous one. 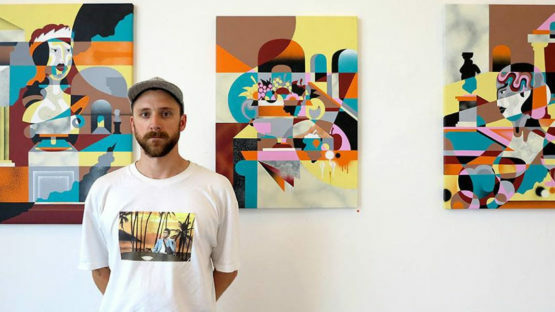 Reka’s work is widely recognized, and the National Gallery of Australia has acquisitioned some of his pieces, confirming his status as one of the leading contemporary artists in Australia. He’s also exhibited throughout the Australia, Europe, and the United States. Change is a part of life. James Reka embraced this fact and used it to hone his skills, to discover more about himself, about the art. The vandal he once was is fading away, and the studio artist is slowly being born. Change IS a part of life, but don’t forget who you are and where you came from. For now, the artist is working in both studio and streets, and he’s been trying to keep them as separate as possible. The need to work is the streets is there, strong as ever. Energy and passion as well. Painting is another passion of his, and he always thought he would end up painting. Even if there’s no money coming from art, Reka would still be doing it, simply because it is fun and he’s enjoying it. Embrace the future, don’t forget the past. 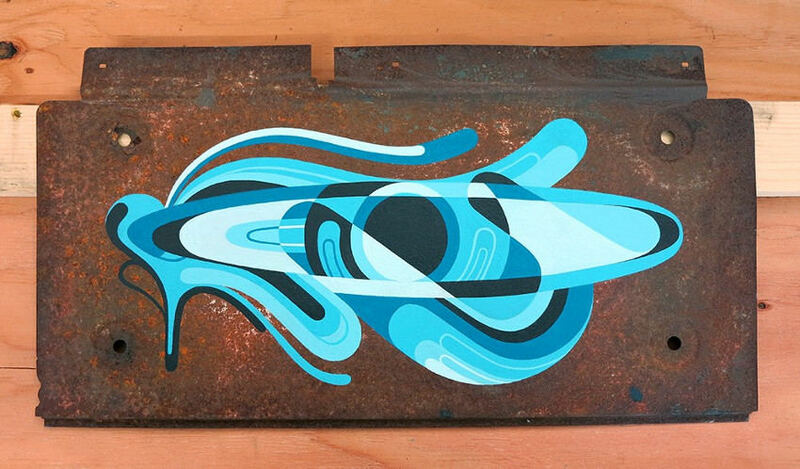 James Reka lives and works in Berlin.